Oakleaze is lightweight and simple yet full of extra impact. 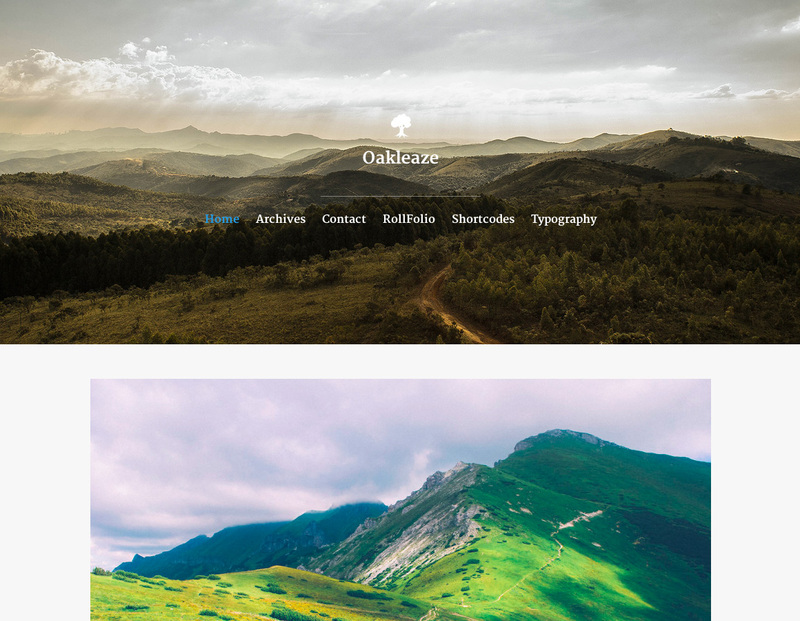 Oakleaze can be used as a photoblog-style WordPress theme for sharing your thoughts, videos, articles, quotes, audio – you can even embed Twitter and Facebook statuses. Of course, you could use the portfolio custom post type as a minimal portfolio to show off your latest work.